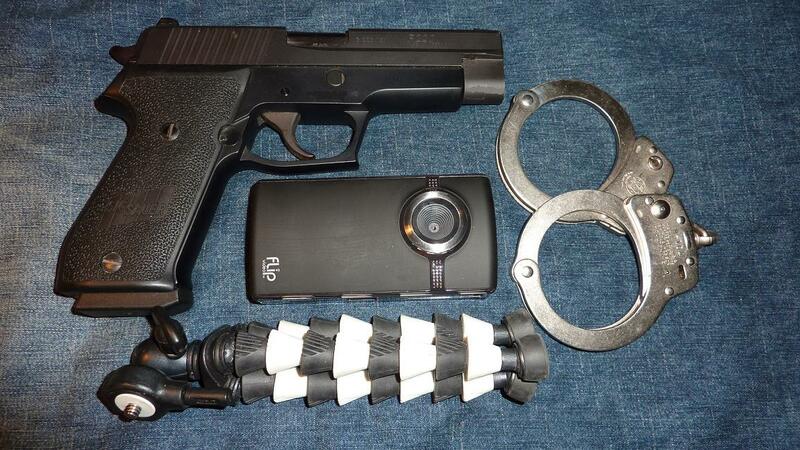 What is that thing under the camera and handcuffs? A giant buttplug?? It is a terrific little tripod with flexible rubber legs that will keep the camera still. It's made by sunpack. paul m y droid incedible has the best video in a phone yet. its a 2-in-1 unit, better than those bad cell cams. the still cam alone is 6 mega pixels. 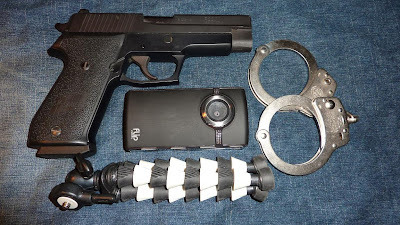 i wont use them for forensic PI evidene, but will if im caught by suprise without the more pro-gear.